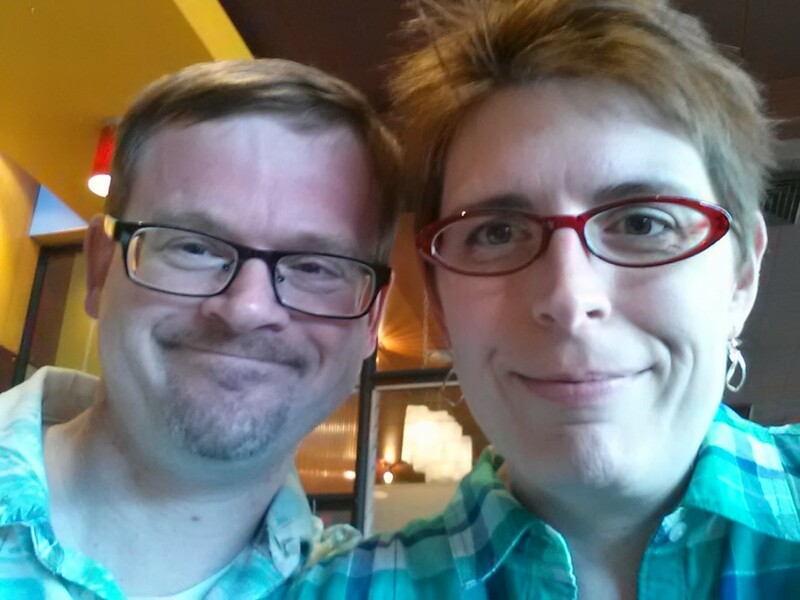 There have been many changes for Mark and me since moving to Oklahoma almost 3 years ago. An autism diagnosis for Mark is one of them. Something you might imagine would explain many difficulties, one being communication. Mark had plenty of trouble with that in Atlanta, but Oklahoma has proven to be almost impossible. I’m not an official anthropologist doing research, but in my own experience, I know I did not feel free to express myself emotionally in the East. When we got to Oklahoma, I would go to a grocery store and the checkout person would tell me their life story with emotions attached. I’d be getting gas and the person next to me would start talking to me as if I were his long-lost friend. (I was afraid I was going to be hugged.) I’d be walking along the canal in Bricktown and passersby would see my Braves t-shirt and ask if I was from somewhere else and then proceed to tell me about all of their trips through Atlanta, with emotion attached. After being here for a while, despite the friendliness and good heartedness of the people, I find it is very difficult to get into their inner circle. There are mazes of massive walls that have to be negotiated before you may enter. Many of the walls are emotional and you have to guess or intuit how to go round. The difficulty is that even “professionals” communicate in more emotion than words. Entire concepts can be shared without a word spoken. I have experienced feelings of people AFRAID to say words. How does one get information since telepathy hasn’t developed to a level required to know, say, the time the concert starts? I say all this to bring you back to the point of Mark’s autism. From the beginning he has called this place a “freak show” and a “circus”. Please understand that this is coming from autism with no way to negotiate in such an emotional climate. He can ask a point-blank question and still not get a verbal answer. This has been infuriatingly frustrating for him. How does this emotive response affect autistic kids in the school system? Autistic people canNOT learn via emotional teaching. Are Oklahoma teachers taught to teach verbally to these children? Are Oklahomans capable of being verbal? I think so, but it needs to be brought to their attention. Let’s look at the word “propaganda” for a moment. I met with a lovely Aspie who uses this word for the pamphlet that comes with her tea. We all laughed because it was a funny use of the word. She told me that she uses the word because it makes people laugh, but she didn’t understand why. I told her she didn’t understand because she doesn’t know the emotional message behind the word. Her reply was, “Oh”. All words have an emotional definition. When communicating with an autie, one must spell out these emotional definitions in the form of words. Yes, this is a tedious way to teach, but that is the ONLY way to teach autistics. We must learn to verbalize our emotions if we wish to communicate with the autistic culture. Are there classes on this in college? I doubt it. I learned through trial and error and a steely determination to get my point across. I’d say, in the case of Oklahoma vs My Autie, My Autie loses. We, in the Oklahoma autism community and beyond, need to make sure our communication is as clear and concise as possible and we must spread the word to others. We all want our Auties to win!